The organizers of a challenge that asked participants to use digital credentials to unlock human capital have selected a winner. Chicago-based architect Larry Kearns won the challenge for his idea of "a web-based recruiting ecosystem that matches candidates with potential employers based on a data-driven record of their perspectives and skills, verified by digital credentials," according to a news release. "The judging panel found that Mr. Kearns' proposal for a skill matching application brought a unique perspective to connecting employers and employees and offered an innovative approach to learning pathway design and the role played by industry and trade associations." "It is absurd that the top ten US recruiting websites rely on a job title to pair employers with candidates when today's 21st century students will be competing for jobs that don't currently exist," begins the executive summary of Kearns' submission. "How can candidates search for an opportunity they aren't aware of, let alone name?" 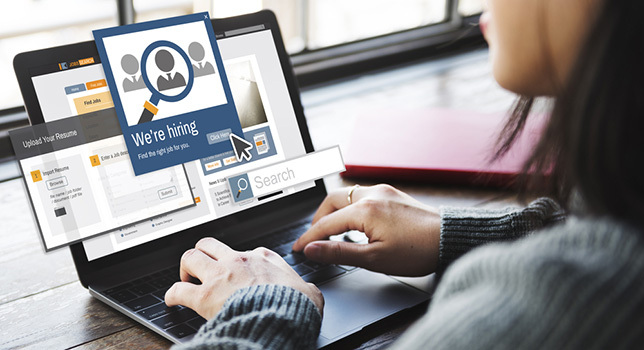 At the heart of Kearns' winning proposal is a "near miss" matching idea designed to answer that question as it allows users to identify skills they need to pursue new career opportunities and pairs job candidates and employers based on skills, rather than common proxies for those skills, such as previous job titles. "As an architect, each day I design spaces that challenge status quo notions about what learning environments should look like," said Kearns in a prepared statement. "I'm passionate about creating innovative solutions that unlock the human capital in my own city of Chicago. This challenge gave me the opportunity to ideate about closing the skills gap between job seekers and employers. I can't think of a more important problem to solve." The challenge was organized and launched in November by Credly, the Lumina Foundation, the American Society of Association Executives (ASAE) and the American Council on Education (ACE). "Associations play a pivotal role in the definition, teaching and credentialing of industry-specific knowledge, skills and competencies," said Rhonda Payne, chief learning officer at ASAE, in a prepared statement. "The crowdsourced challenge showcased a wide variety of perspectives on this central truth and helped highlight the transformative potential that digital credentials have to function as a data-rich currency to facilitate career pathways and workforce opportunities." "As the competencies critical to success in today's workforce continue to change, employers are increasingly seeking timely, verified evidence of specific knowledge and skills while recruiting," said Jonathan Finkelstein, founder and CEO of Credly. "This crowdsourced challenge offers a reminder that great ideas can come from unexpected places, and we're pleased to have partnered with Lumina Foundation, ACE and ASAE to surface innovative approaches to meeting the challenge of improving equity, access and efficiency in today's labor market." Kearns' full proposal is available at s3.amazonaws.com. Proposals from two runners up are available here and here.